In today’s competitive business environment it is crucial to secure any advantage you can get. A great website will be a valuable resource that will generate leads, customers, and brand awareness. This will add significantly to your bottom line. The single most important advice to keep in mind when choosing a web developer is that the more you know what you want in your website the more you can search for a web developer who can deliver it. Having specific features, style options, and a general idea of the size and page number you want will go a long way in deciding the criteria for which web developer will be best for you. By taking the time to figure out what you want, and following this step to find the developer to deliver it will ensure that your website will be an integral and profitable part of your business operations. Today I am going to talk a little bit about the decisions company owners are faced with when choosing a web design company or freelancer to take on their web development needs. On average our company receives about 10-15 requests for quotations and web design mockups a week from small to large sized projects. In many cases, people are willing to extend their budget appropriately to ensure they receive quality design and development. However, what I am interested in discussing today are the people who are lured in by web development companies that give an unrealistic quotation; to receive the business knowing they can not provide the client with the quality development necessary. In some cases, we can bring people back to reality with complete honesty about what they can expect to receive within their budget. No one ever wants to turn down business, but if the budget is not there to provide quality service that both parties can be proud of, then it is not worth cutting corners. 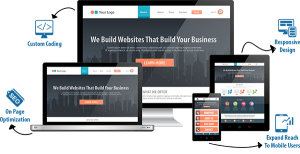 V8Web.com wants to have an end product that ourselves and the client can be extremely proud of and are happy to add these sites to our ever-growing portfolio. There is nothing worse than underbidding a project and not being able to deliver the quality that the client deserves. We just won’t do it. That does not mean we are not flexible on our quotations or that website payment schedules cannot be modified, but quality service and development is of upmost importance. Just in the past 4 months, we have had 2 potential clients decide to move forward with another firm due to the cheaper quotation provided. And just recently both these company owners have contacted us back lettings us know that the other company fell short of delivering what they anticipated. We were asked to renegotiate our quotation and take over development. When this happens more time and more money is wasted, and the majority of the time work must be done completely from scratch. I urge people to make their decision carefully and do not make a decision solely on a sticker price. In the web development business you get what you pay for and in the long run, it is not worth sacrificing quality for a few hundred or few thousand dollars. 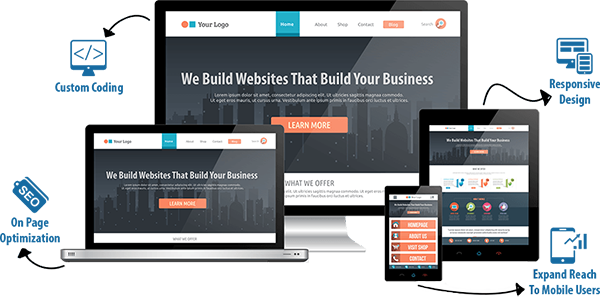 Is saving money now worth losing out on your online business volume because your web development company was so eager to make a quick dollar they couldn’t provide the time and care necessary to take care of your needs appropriately? If you get a quotation that seems too good to be true, then most the time it is. If you care about your business, your online presence, and your own customers then take your time and make the right decision when choosing a web design firm to fulfill your needs. If you find the right company a fruitful long-term relationship for both parties can easily be established.